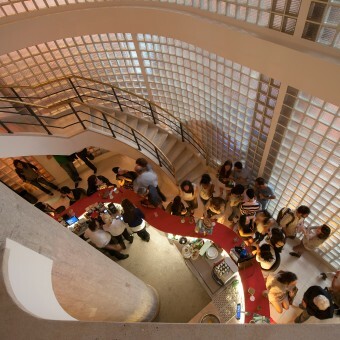 Open in 1949, the Bar Rivieira, during the 60’s and 70’s had been an important meeting place for the intellectual left of Sao Paulo – a type of piece de resistance during the Brazilian military regime. Living through the glorious epoch, already quite decadent, the establishment had closed its doors. All of the architectural intervention was done in a simple and bare manner so as not to lose the characteristics of the place avoiding a luxurious connotation. 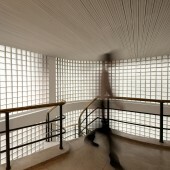 The curved lines of the glass bricks of the façade are transported to the inside. The result is a sinuous counter registered throughout the ground floor. 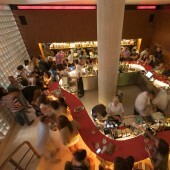 In the center, the waiters and barmen serve the public; and around them the clients can openly see the whole space, seeing all of the people in the enclosure. Besides the counter in an organic shape, the restrooms are located on this floor as well. A sculpture-like staircase – originally from the space – takes us to the first floor, where there is the large salon on the restaurant and the kitchen. The organization of the site is done by a curved wooden gable which separates the restaurant from all the technical and preparation areas. On the first floor, there are nightly shows with live music, as in a jazz club. Thus, the project incorporates a small infrastructure for a dismountable stage in the center of the space, as well as a light and sound control room, and a wooden shell for the acoustics. The choice of the furniture privileged pieces of classic modern design, such as the Bertoia bar stools on the ground floor and the Danish 7 Series chair, by Arne Jacobsen. The layout of the entire space can easily be rearranged according to use. While the ground floor looks to the inside, with its more informal ambient, the first floor has large glass Windows from where it is possible to see the high tunnels and avenues, creating a relationship with the surrounding urbanity. Glass bricks as the facade, counter done in Corian resin and curved wooden gable and walls. 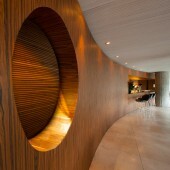 The material chosen, such as the dark wood for the walls, sought to create a cozy atmosphere for the bar. The granilite floor (a mixture of marble, granite, sand, cement and water) and the resin and rock are resistant, taking into consideration the intense use of the spaces. Reopen an important meeting place with all respect about the history. All of the architectural intervention was done in a simple and bare manner so as not to lose the characteristics of the place avoiding a luxurious connotation. Studio mk27 was founded at the beginning of the 80’s by Marcio Kogan and today is joined by 23 architects, besides collaborators in numerous countries around the world. The architects of the Studio develop the projects from start to finish, and sign as the projects co-authors. The Office has won numerous international awards such as: Wallpaper Design Awards, Record House, Interior Record, D&AD, LEAF Awards, Dedalo Minosse, Barbara Cappochin of the International Biennial of Padova, Spark Awards and World Architecture Festival. In 2011, Wallpaper and Época considered Marcio Kogan as one of the 100 most influential people and received the title of honorary member of the AIA, American Institute of Architects and in 2012 represented Brazil in the Venice Biennial of Architecture. In Brazil he has received 13 awards of the Instituto de Arquitetos do Brasil, IAB (Brazilian Institute of Architects). The projects of studioMK27 are valued for their formal simplicity, always working with special attention to the details and finishings. Marcio Kogan and the architects of the team, great admirers of the Brazilian modernist generation, seek to fulfill the difficult task of giving continuity to this line of production. 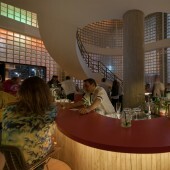 Riviera Bar by Studiomk27 is a Nominee in Interior Space and Exhibition Design Category. · Click here to register today inorder to be able to view the profile and other works by studiomk27 when results are announced. Riviera Bar by Studiomk27 is Winner in Interior Space and Exhibition Design Category, 2014 - 2015. · Press Members: Login or Register to request an exclusive interview with studiomk27. 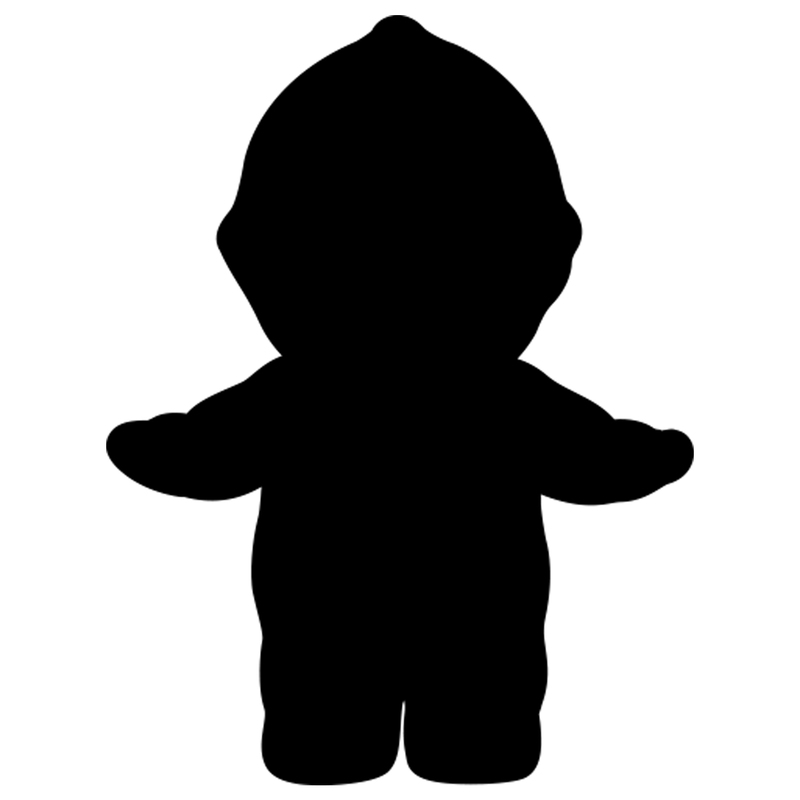 · Click here to register inorder to view the profile and other works by studiomk27. Did you like Studiomk27's Interior Design? Did you like Riviera Bar? Help us create a global awareness for good interior design worldwide. Show your support for Studiomk27, the creator of great interior design by gifting them a nomination ticket so that we could promote more of their great interior designs.